Tue., Feb. 21, 2017, 9:56 p.m.
CHARLOTTE, N.C. – The Panthers began restructuring their roster on Tuesday, releasing three-time Pro Bowl fullback Mike Tolbert and backup defensive tackle Paul Soliai. The versatile Tolbert was utilized as a blocker, runner and receiver during his five seasons with the Panthers, but the 31-year-old’s production tailed off last season. Tolbert carried 35 times for 114 yards with no touchdowns with 10 receptions for 72 yards and one touchdown in 2016. The year before Tolbert ran 62 times for 256 yards with one TD and caught 18 passes for 154 yards and three TDs. Tolbert combined for 12 TDs rushing in 2012 and 2013. Panthers coach Ron Rivera said Tuesday in a release he was “fortunate” to have coached Tolbert for nearly his entire career. Tolbert was part of a Carolina offense that set team records in 2015 with an NFL-leading 500 points and 59 touchdowns en route to the winning the NFC championship. 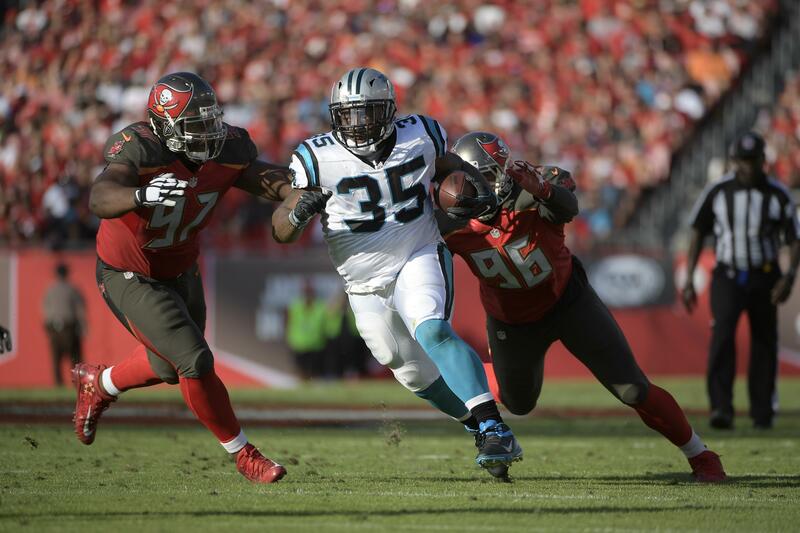 The Panthers have ranked among the NFL leaders in rushing in each of Tolbert’s five seasons. Tolbert was named All-Pro in 2013 and 2015. The Panthers saved about $1.7 million under the salary cap by releasing Tolbert, leaving the team with more than $51 million cap space entering free agency. Tolbert joined the San Diego Chargers as an undrafted rookie free agent in 2008 out of Coastal Carolina. He posted a career-high 11 touchdowns rushing in 2010 with the Chargers in 2010 and had 10 more total touchdowns in 2011. Tolbert has played in 131 games with 44 starts in nine seasons. He’s run for 2,402 yards and 33 touchdowns and caught 203 passes for 1,783 yards and 12 touchdowns. Soliai, a 10-year NFL veteran, played in 10 games for the Panthers with one start last season. He had five tackles, two quarterback pressures and one fumble recovery. Published: Feb. 21, 2017, 9:56 p.m.